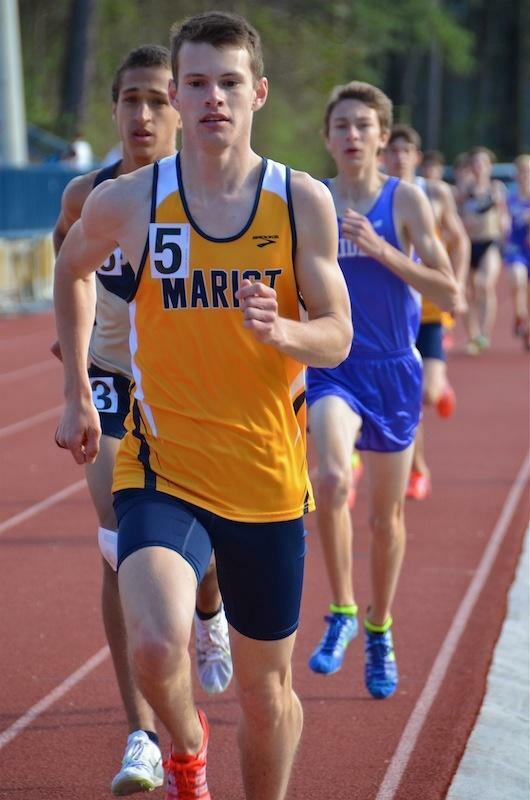 Champion Morgan Ilse of Marist earned the Gold in the Girls 3200m Run with her impressive time of 11:00.69. Teammate Freshman Josie Wirtz took Silver in 11:27.09, and Rebecca Entrekin of St. Pius X brought home the Bronze. 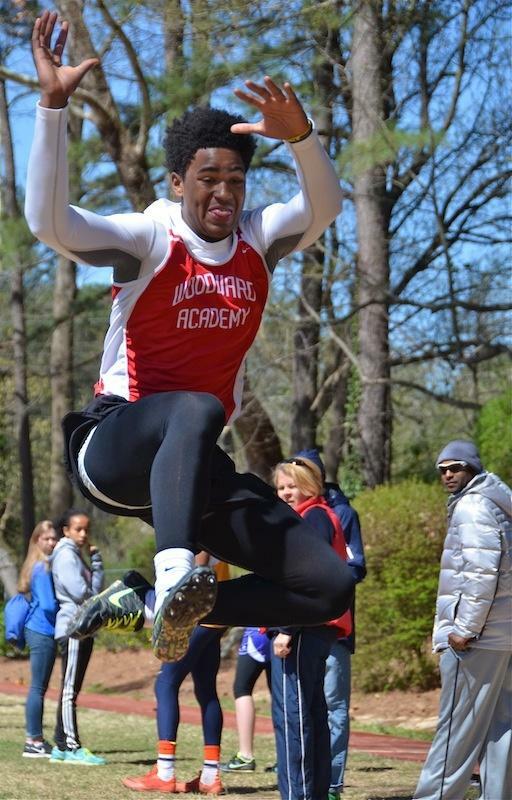 Woodward Academy Jumpers scored 44 big points for their Boys Team and a whopping 55 points for their Girls! 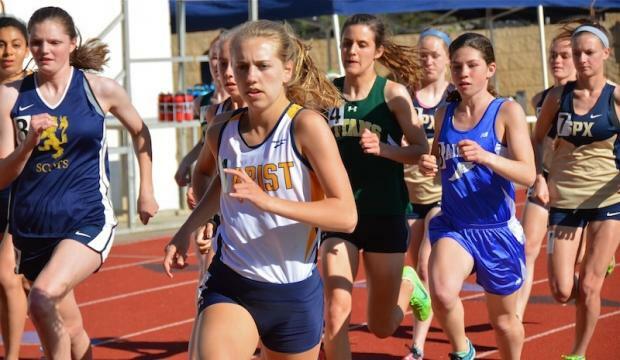 The Girls 1600m on Monday featured a stellar field. 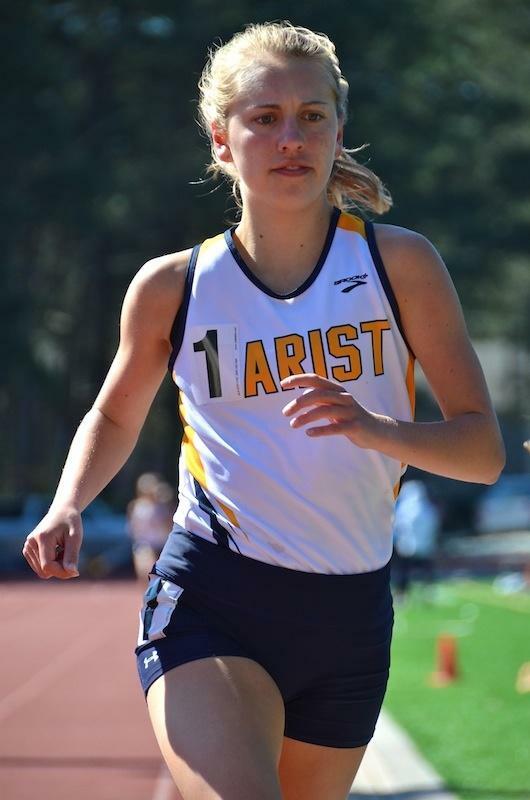 #1 Morgan Ilse of Marist posted the fastest time in Georgia this season with her 4:55.70. Rapid Replay! Frank Pittman crushed it in the Boys 1600m, posting the fastest time in Georgia this season with his 4:16.14. Stephen Martinez battled to hang on with Pittman and earned Silver. 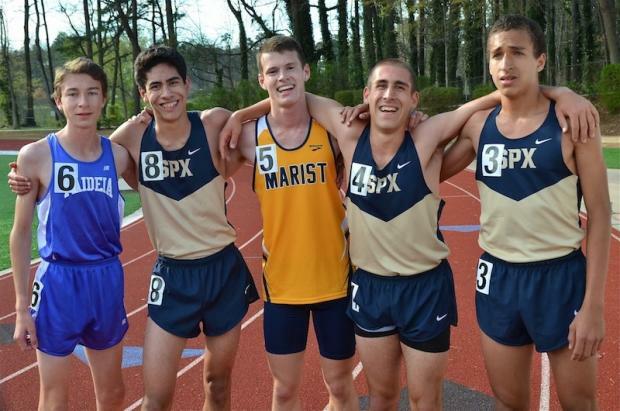 The Boys 1600m Medalists - Freshman Griffin McCauley of Paideia - 4th, Daniel Grosch of St. Pius X - 7th, Champion Frank Pittman of Marist, Nik Calia of St. Pius X - 3rd, and Stephen Martinez of SPX - 2nd. 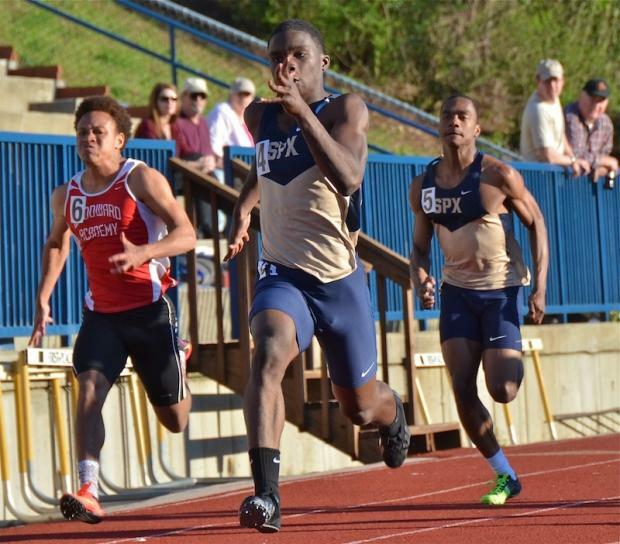 Chris Echols (#3) of SPX blasted an 11.08 to earn Gold in the 100m Dash. Cameron Pearson (#6) of Marist - Silver, Evan Thomas (#1) of Holy Innocents - Bronze, Lawrence Bryant-Tillman (#2) of OLM - 4th, and Shawn Flynn (#5) of Woodward - 5th. 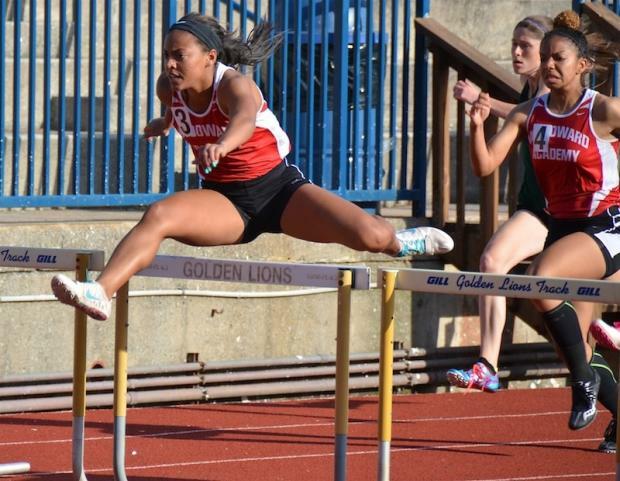 Erica Evans of Woodward Academy flew to perfection in the 100m Hurdles (15.30) and 300m Hurdles (45.45) to earn double Gold. 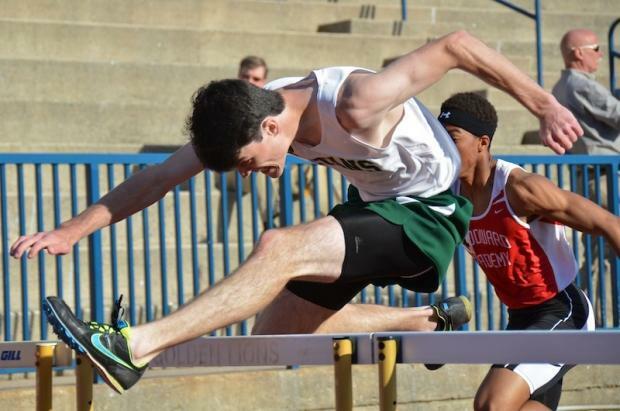 Bailey Durham of Blessed Trinity kept his head low as he sailed to double Gold in the 110m & 300m Hurdles. The Best in Georgia! 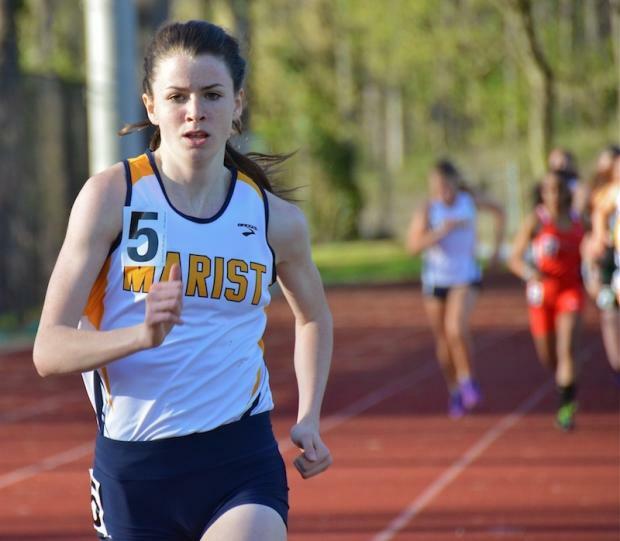 Caitie Faust of Marist continued her dream season, earning Gold in the 800m. Caitie went out in 60 seconds for the first 400m and came home in 2:11.14! Cooper Metzler (#6) of SPX edged Teammate Ryan Kelly (#4) for the Gold. Cooper posted 1:59.40 to Ryan's 1:59.60. Braxton Lindley of Holy Innocents took Bronze in 2:00.39, Max Demacedo (leader) and Brian Faust of Marist were 4th & 5th, and Adam Nohl of Blessed Trinity - 6th. 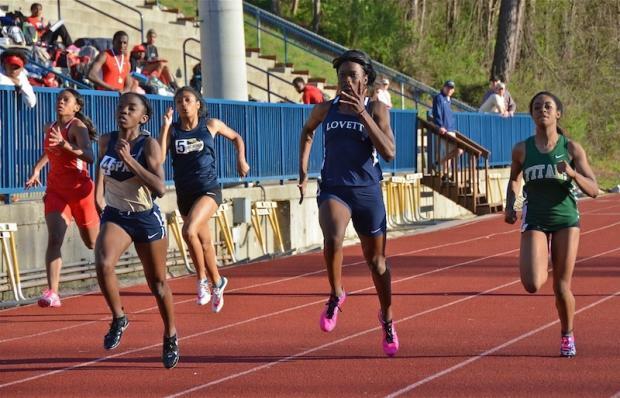 Victoria Powell of Lovett earned Gold in the 200m Dash with her 25.00! Zion Lewis of Blessed Trinity took Silver, and Myia Dorsey of SPX - Bronze. Chris Echols (#4) of SPX added the 200m Gold to his collection with his time of 22.45. 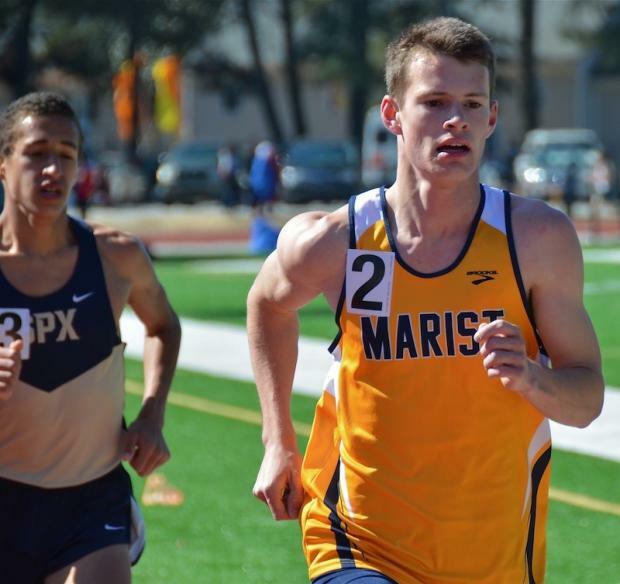 SPX Teammate Stanley Dunwell took Silver, and Chris Martel of Marist - Bronze. Chandler Parks SPX (#5) was 4th, and Saije Sharkey (#6) of Woodward - 6th. 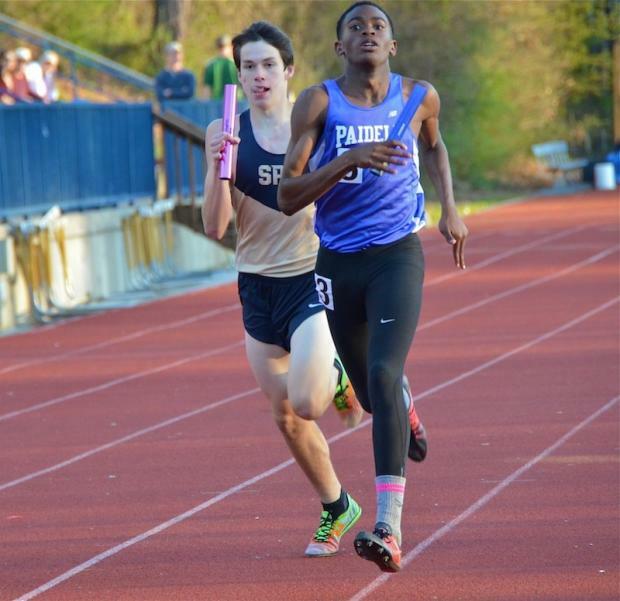 Paideia Anchor Nasir Campbell was able to fend off the SPX closer for Gold in the 4x800. Paideia 8:43.89, St. Pius X 8:44.52, Marist 9:01.32, and Woodward Academy 9:11.37. 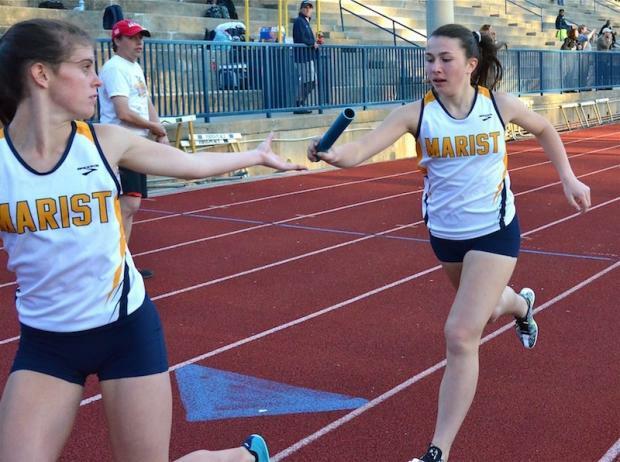 The Marist Girls 4x800m Team earned Gold with their time of 10:33.14. Paideia took Silver in 10:40.57, and Bronze went to Woodward Academy with 10:50.07. 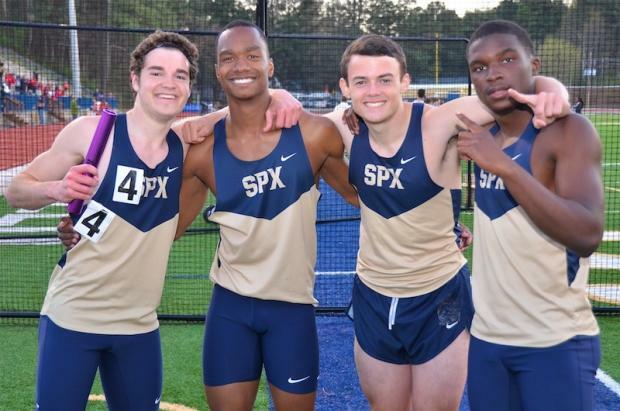 The St. Pius X 4x400 Team earned Gold in a very hard fought battle with Holy Innocents. 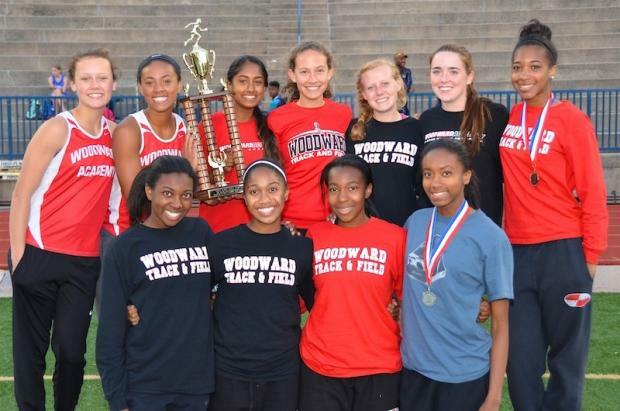 Woodward Academy earned the Overall Girls Team trophy, posting a Team score of 153 points. 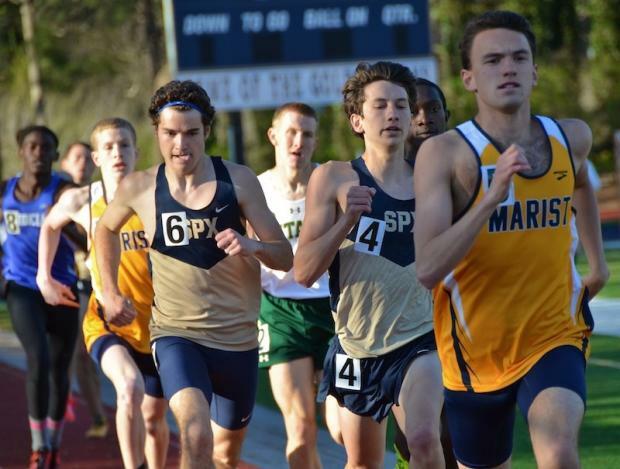 Marist was second with 149 points, and Blessed Trinity third with 79. 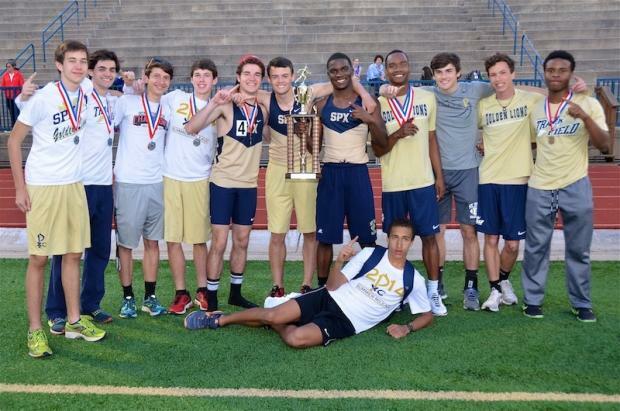 St. Pius X Boys earned the Overall Team Trophy, posting a score of 157 points. Woodward Academy was second with 113, and Marist third with 97. 18 National Elites. 51 Elites.